Be it the eight-track tape, audio cassette or digital download, near enough every step on the auditory timeline has rendered the format before it superfluous. As much was the case in the late 80s and early 90s, when the compact disc – after an initial bout of scepticism – was embraced as the album medium of choice and set in motion the decline of the vinyl format. Much to the dismay of purists, the compact disc and its promise of ‘perfect sound, forever’ pushed vinyl sales off a cliff – never to return again to the heady heights of the 70s and 80s. At only 12cm in diameter and with a greater data storage capacity, the improved audio quality of the CD system spelled the beginning of the end for vinyl. And when in the mid-80s the 55-minute CD copy of Dire Straits’ Brothers in Arms outsold the shorter vinyl version, it appeared the format’s time in the sun was done. Vinyl, by most accounts, was destined to become the preserve of audiophiles and enthusiast collectors, with little in the way of mass-market appeal to prolong its legacy. Yet there remains a strong affection for the old format, and an ageing fanbase has been boosted recently by a groundswell of support from younger generations. Old classics by the Rolling Stones, the Clash, the Stooges, David Bowie, the Beatles and the like boast an appeal that resonates through the ages, and only on vinyl can the complete experience be had. Far from being drawn only by its distinctive audio quirks, listeners are today buying vinyl for the artwork, for nostalgia’s sake, or for the sheer physical presence of the format, and it seems a new fondness has emerged. “There’s something about holding the record in your hands. 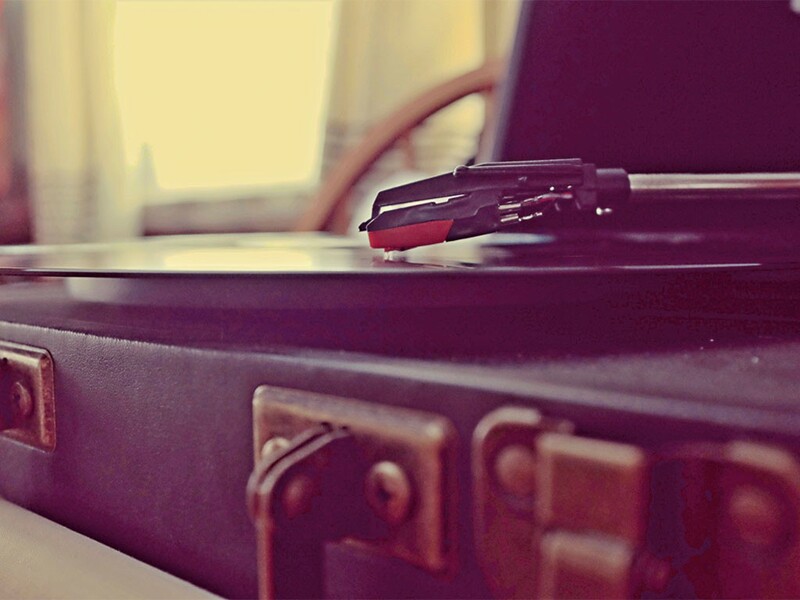 You put it on the turntable, you set the needle down in the groove. It’s the whole experience of that rather than just pushing a button”, said Roger O’Dea of Belle Fourche, one of the format’s many admirers, speaking in an interview with Rapid City Journal. Over 30 years on from its heyday, vinyl is making an unexpected comeback. LP sales in 2015, according to Nielsen’s end-of-year report, stopped just short of 12 million in the US and there enjoyed a 10th consecutive year of growth; all the more impressive considering the equivalent figure in 2005 clocked in at around 900,000. Rarely has a music format grown, shrunk and grown again, and what was embraced first by hipsters and collectors as a special interest field has evolved into a full-blown revival. A spokesperson for the British Phonographic Industry (BPI) told European CEO that, while we shouldn’t forget vinyl represents only two percent of the recorded music market, demand for the format has grown eight years running since it reached a low point in 2007 – when just 205,000 LPs were purchased. To put the situation in context, LP sales last year sprung 64 percent to surpass the two million mark for the first time in 21 years, at which time Britpop was at its peak. The sentiment runs contrary to what many analysts assumed about vinyl’s lasting power, and suggestions that the format’s longevity has been sustained by older generations or by one particular genre are misplaced, particularly in light of Nielsen’s findings. Adele’s 25 topped the album charts last year, selling 116,000 in vinyl sales, with Taylor Swift’s 1989 in at second, although this isn’t to say vinyl sales are without a whiff of the familiar, with Pink Floyd, the Beatles and Miles Davies rounding out the five. “It started off as the over-40s rebuying the collections they sold when younger. The big change was when young bands started putting out limited vinyl pressings and a new generation bought into it”, said Jones. While it’s safe to say the revival is due in large part to catalogue albums (albums released at least 18 months prior to the point of purchase), a new generation of artists and listeners are doing their bit. The rise of vinyl is all the more surprising in light of the situation in the music industry at large. The International Federation of the Phonographic Industry last year highlighted global revenue had slumped to a new low in 2014, having fallen below the $15bn mark for the first time in recent memory. Looking closer, physical format sales suffered an 8.1 percent slide and download sales eight percent: 10.9 percent for single tracks and 4.2 percent for albums. The music industry is becoming much less reliant on physical format sales, and the sector’s share of the pot shrunk to a measly 46 percent in 2014, down from 60 percent in 2011. The news isn’t all negative for Europe, however, with gifting and box sets accounting for more than half of the market in key territories such as Germany and France. Adjusted for inflation, the market for recorded music has been carved in two in the space of two decades, thanks in no small part to the rise of piracy together with changes in consumption habits, as casual listeners favour individual tracks ahead of albums. The shift means revenues derived from digital channels were equal to physical format sales in 2014, and, barring a sudden turnaround in fortunes, digital should outpace physical at least for the near term. Having already suffered at the hands of illicit file-sharing services and more legitimate developments in digital technology, the music industry’s new enemy is streaming, and the market threatens to shrink physical sales further – excluding those for vinyl. While consumption habits for the casual listener are growing more disposable by the day, discerning listeners remain very much committed to the crackle and hiss of vinyl. Asked to speculate about the reasons why greater numbers are turning their attentions to the vinyl format, experts believe the answer to be twofold. The first, and perhaps most often cited, reason is that vinyl delivers superior audio quality to that of CD, despite claims to the contrary in the 80s and 90s. This difference in quality – whether measurable or not – is of little concern to the casual listener, though purists maintain vinyl provides a richer, clearer sound to that of any digital medium. The search for convenience has also given way to an onslaught of low-quality digital files, not least in the streaming space, where listeners routinely make do with less-than-stellar audio quality. Self-confessed music lovers have in many cases resorted to vinyl to distance themselves from the sub-par listening experience inflicted on the majority. “Vinyl is the only consumer playback format we have that’s fully analogue and fully lossless”, said Adam Gonsalves of Portland’s Telegraph Mastering, speaking to The Oregonian. “You just need a decent turntable with a decent needle on it and you’re going to enjoy a full-fidelity listening experience. It’s a little bit more idiot-proof and a little bit less technical”, he added. However, the question here is not necessarily which format has the best audio quality, but which of them offers the best listening experience. In this respect, the warm, mahogany-rich sound of vinyl is notoriously difficult to engineer on a rival format. Aside from the question of quality, the actual physical experience of buying a record comes into play when differentiating between vinyl and other formats. Those of a certain age may well share a fondness for this hit-and-miss approach, in which it’s not uncommon to spend hours flicking through unordered sleeves just to find one or two hidden gems. To take this a step further, it’s no coincidence the vinyl revival of recent times has coincided with the rise of Record Store Day. And, while the event has been lampooned by critics recently as an easy opportunity for record companies to bleed fans and labels dry, its launch in 2006 reminded shoppers the record store could soon become a thing of the past. According to BPI: “The flame was then well and truly fanned by the success of Record Store Day, which continues to give impetus to the format’s growing appeal.” This realisation was enough to inspire enthusiasm in music fans, and while it’d be too much to call this sentimentality perhaps, the majority are in agreement that it’d be sad to see record stores go. The experience of sifting through piles of records or that of lowering the needle on a new find fosters a connection that rival formats simply cannot. If any analogue format is thriving in the digital age, it’s vinyl and, though sales make up a thin slice of the pie, the uptick is a major plus point for an industry on the receiving end of a downturn.